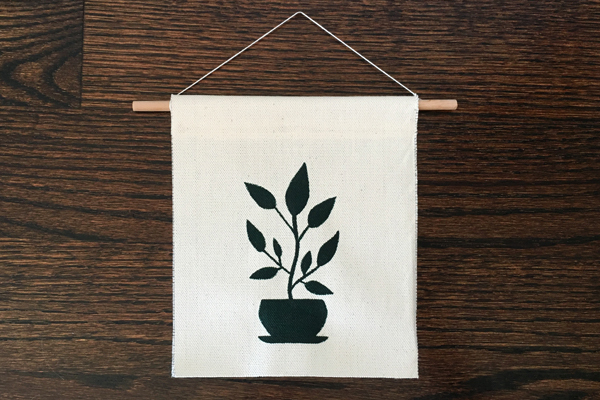 This sweet little plant is hand painted with acrylics on hand cut canvas. The paint color is dark green. It hangs on a cotton string and wooden dowel.